Each double disc DVD features spectacular coverage from the 5th round through to the Grand Final, Presentations and Honour Dances. We also have included a special Bonus Feature on each DVD where for the first time you can enjoy watching single couple footage from the Grand Final, not just in the dance introductions! Watch dedicated coverage of a couple dance one dance of the Grand Final from start to finish in our new DVD Bonus Features. Mad for Latin Dancing? Check out our must have Latin DVD from the UK Open Championships. On the UK Open Championships Latin Double Disc DVD, like the Ballroom, you will also be able to watch the Professional Latin and Amateur Latin along with the bonus features. Dominating the Professional Latin competition Riccardo Cocchi & Yulia Zaogoruychenko put in a mesmerising performance winning the Championships. See their captivating mastery in a must see Professional Latin Grand Final. Experience one of the iconic elements of the UK Open Championships, the Dance Introductions, where each couple in the final take to the floor to perform individually before the Final. 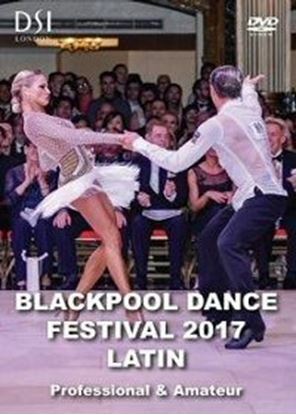 Experience the magic of the UK Open Championships with the incredible dancing of the Amateur Latin. Morten Lowe & Roxy gave their all as they soar to become the UK Open Amateur Latin Champions of 2017. See each couple dance individually as they introduce each couple in the Grand Final, a very special treat at this fantastic Championship competition.